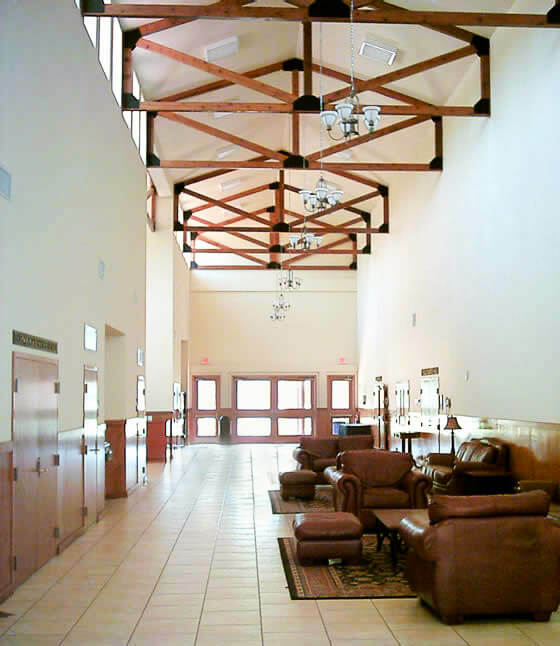 Upon entering the Educational Complex Building, you will walk into our Grand Foyer. This is where the majority of our meeting space as well as our catering kitchen is housed. As you walk through our Grand Foyer, you will find our other meeting rooms. Included in this building is the Publix Charities Dining Hall, Presidents Hall and the Verizon Room. 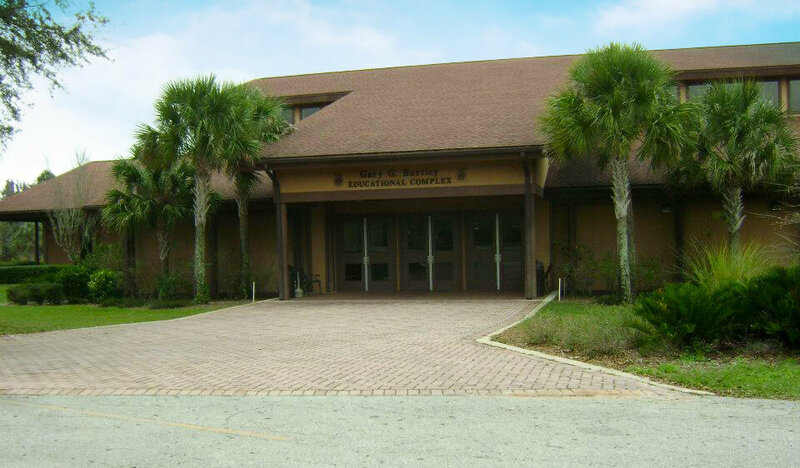 This building is perfect for the larger meeting and all of your meetings and meals can take place under one roof! The Publix Dining Hall measures 4284 square feet and it our main room for meal functions. One end of this room boasts floor to ceiling windows which overlook Lake Pierce. This room is perfect for weddings, parties, banquets and more! The Presidents Hall measures 4282 square feet and is dividable into four smaller breakout rooms that each measure 1064 square feet. This room is perfect for breakout or general sessions. The Verizon Room is one of our smaller intimate rooms that measures 585 square feet and would be perfect for a small gathering for your next event. The Grand Foyer boasts 20 foot ceilings with windows and is perfect for a welcome or cocktail reception for your next event. It is also the perfect space for attendee networking in between sessions and meal functions.